Cockpit Arts is an award winning social enterprise and the UK’s only business incubator for craftspeople, housing up to 170 small businesses at our two centres in central and south London. We support craft practitioners at the start of their careers, as well as those who are more established, to grow and build successful and thriving businesses both in the UK and internationally. We work with a wide range of talented individuals, including caster craftspeople, artist makers, batch producers and more scalable businesses. Our business incubation services comprise workshop, on site business coaching and business support workshops, selling and promotional opportunities, as well as referral to specialist advisers and access to finance. We also work with hundreds of other craft businesses based in other parts of the UK and overseas through our training workshops and consultancy arm, as well as remotely via our online resources. As a Social Enterprise, our services and studio spaces are offered to designer-makers at affordable rates. Any profit made is reinvested to support those at need most. We offer special Awards and Bursaries to early stage craft businesses. Cockpit Arts also delivers a unique Creative Careers Programme to provide opportunities for young people referred by The Prince’s Trust. In addition, our Creative Employment Programme generates wider craft employment opportunities in the craft sector through our Traineeships and Apprenticeships Programme. Cockpit Arts is an award winning social enterprise and the UK’s only business incubator for craftspeople, housing up to 170 small businesses at our two centres in central and south London. We support craft practitioners at the start of their careers, as well as those who are more established, to grow and build successful and thriving businesses both in the UK and internationally. We work with a wide range of talented individuals, including master craftspeople, artist-makers, batch producers and more scalable businesses. Our business incubation services comprise workspace, on site business coaching and business support workshops, selling and promotional opportunities, as well as referral to specialist advisors and access to finance. We also work with hundreds of other craft businesses based in other parts of the UK and overseas through our training workshops and consultancy arm, as well as remotely via our online resources. As a Social Enterprise, our services and studio spaces are offered to craftspeople at affordable rates. Any profit made is reinvested to support those most in need. We offer special Awards and Bursaries to early stage practitioners. Cockpit Arts also delivers a unique Creative Careers Programme to provide opportunities for young people referred by The Prince’s Trust. In addition, our Creative Employment Programme generates wider craft employment opportunities in the craft sector through our Traineeships and Apprenticeships Programme. During 2015, 19 makers were accepted into our incubators (joining our total capacity of 170 at any one time), with 14 of these being awarded bursaries on a full or match fund basis provided by charitable trusts or corporate sponsors, providing investment at this critical early stage of development. Of these, 3 young people were referred to us by The Prince’s Trust onto our Creative Careers Programme, which provides a fast track entry route to a craft career. In addition to the tailored support provided to each of our 170 makers in house, we worked with 12 makers based in studios outside of Cockpit Arts and 64 in house as participants in the European Regional Development Fund-financed programme, New Creative Markets - a professional development programme designed to help artists, designers and designer makers increase the sales of their work and achieve greater sustainability. In 2015, the churn rate of makers leaving Cockpit Arts was 12% which is comparable with previous years and deemed a good level with a similar number of makers leaving to go onto future success, as numbers starting. Our Creative Employment Programme - the only one of its kind giving craft employers comprehensive support to employ graduate interns and apprentices - provided wage support for 7 employers to create 5 new jobs during the year, with funding from Creative & Cultural Sector Skills Council and City Bridge Trust [from a total to date of 18 employers and 15 jobs]. This programme and our Creative Careers Programme was the subject of a Social Impact Study which demonstrated the social value of providing employment opportunities in the growing craft sector and has since been recognised with a CCSkills Award. In addition to our public selling events that attract 11,000 visitors over four weekends, our outreach work comprised hosting 17 Educational group visits during the year. Further afield, our overseas consultancy for the British Council saw us advising craft community organisations in Thailand and Vietnam on design and product development whilst also helping to lay the foundation for these social enterprise organisations, representing some 700 artisan makers, to develop more scalable business models and apply for investment funding. This year’s Cockpit Effect impact report findings are very positive, with makers showing continued progress, both financially and non-financially. The report also confirms the positive correlation between a maker’s level of engagement with Cockpit Arts’ Business Incubation and the financial, cultural and social outcomes they report. Average turnover of our makers’ businesses rose by 14% from previous year figures and at £58,099 was nearly double that reported in 2010. This is also significantly higher than the average craft business related income of £19,827 reported by the Craft Council [Craft in an Age of Change, 2012]. Beneficiaries who featured as Maker Stories, as a consequence of demonstrating significant progression in their individual business journey, reported a higher average turnover and profit, plus showed stronger results in most of the Social and Cultural value indicators reported below. During the year Cockpit Arts was in the top 5% of organisations in the NatWest SE100 index for measuring and demonstrating social impact. Based on the Cabinet Office’s Unit Cost Database the annual saving to the public purse as a result of Cockpit Arts’ Creative Employment Programmes [‘Creative Careers’ and Internship & Apprenticeships] is around £425k. Our Creative Employment Programme has enabled 18 business owners to recruit 6 paid apprentices and 12 paid interns. The proportion of all makers [148 during the year] employing staff was 9.7%, which was higher than the previous year (8%) and significantly higher than 2009 - the first year of recording this statistic (2%). Our pilot Apprenticeship programme launched in partnership with Westminster Kingsway College and funded by the Ashley Family Foundation has allowed three textile businesses to provide an apprenticeship opportunity to 16-24 year olds who are non-graduates. Of the 22 young people participating in The Prince’s Trust Creative Careers programme after the pilot year, 100% have been able to successfully start up and sustain a craft business. The majority of beneficiaries surveyed for the annual Cockpit Effect report cited ‘improved profile’ and ‘improved web/social presence’ as the main changes that impacted on them and their businesses as a result of Cockpit Arts’ Business Incubation. This was followed by ‘improved business skill’ and ‘better time management’. The non-financial cultural-based data collected for the Cockpit Effect report was encouraging with many makers reporting gaining major stockists (24%); being featured in a major publication (26%); securing grant or funding support (18%) and being selected for a major selling event (35%). 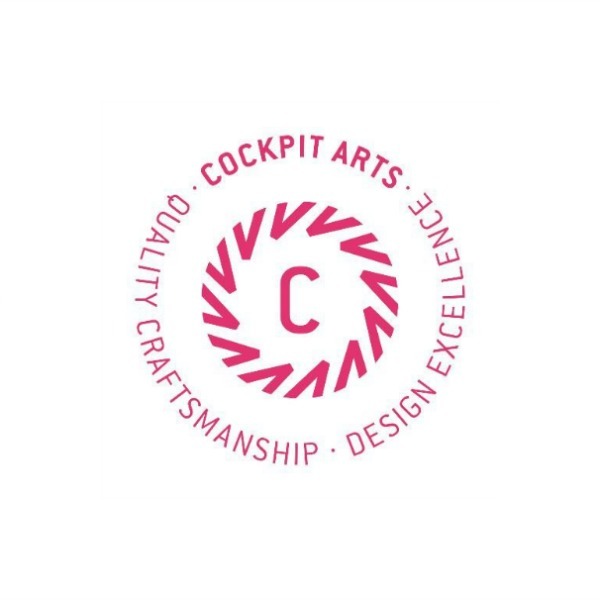 In 2016 Cockpit Arts was a winner of the Creative & Cultural Sector Skills Council’s Skills Craft Skill Award for passing on skills to the craft sector through our Creative Employment Programme. We use a bespoke tracking and monitoring system to measure the impact of Cockpit Arts’ support on beneficiary maker growth and development. This comprises a customised Customer Relationship Management [CRM)] system, which provides: Individual records on each maker including business support history, current business status and comparative reports which plot change over time in key performance indicators [KPIs]. These indicators include % change in turnover and % change in profit; number of first time employers and number of staff employed; museum collection purchases and art gallery representation, for example. We have included impact questions designed as part of previous SROI evaluations, undertaken by an independent SROI Network accredited practitioner, in our annual monitoring and evaluation questionnaires and we report on social, cultural and economic impact and outcomes, as well as on makers’ views in a number of key areas such as personal priorities, skills improvement and motivational factors. Impact studies are posted on our website at www.cockpitarts.com. Case studies [Maker Success Stories] are continually prepared alongside these reports.